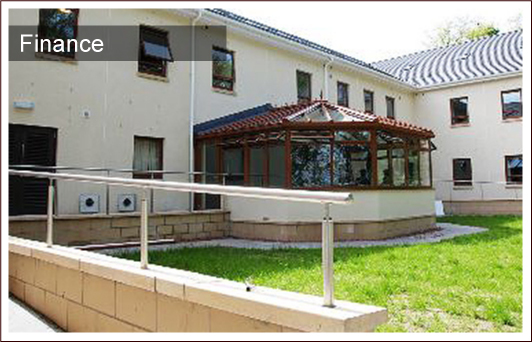 Our standard fees are higher than current local authority fee rates for Care Homes providing Nursing Care. If your care is to be funded by a local authority then our contractual arrangements with that authority will take precedence when dealing with fees. Any balance of fees (Top Up) will not normally be met by your Local Authority. If you are self-funding then we will not contract with your local authority. Should you or your representative elect to deal with your state benefits, we would ask that this portion of your fees is paid four-weekly in advance. Fees and Personal Expenses should be paid by direct debit or Bank Payment directly into our bank account (details available from the Administrator). Any Bank Payment should clearly identify the payee. A cheque is also acceptable with prior agreement and a receipt will be issued. For your safety and that of the staff, cash cannot be accepted without prior agreement with the management. All financial matter should be dealt with by the Administrator. Should you or your representative elect to deal with personal finances then we may ask for an advanced deposit if the Home is required to fund any of your expenditure, the balance being refundable when your personal expenditure is settled. We welcome the opportunity to discuss your requirements and our fees with you or your representative.